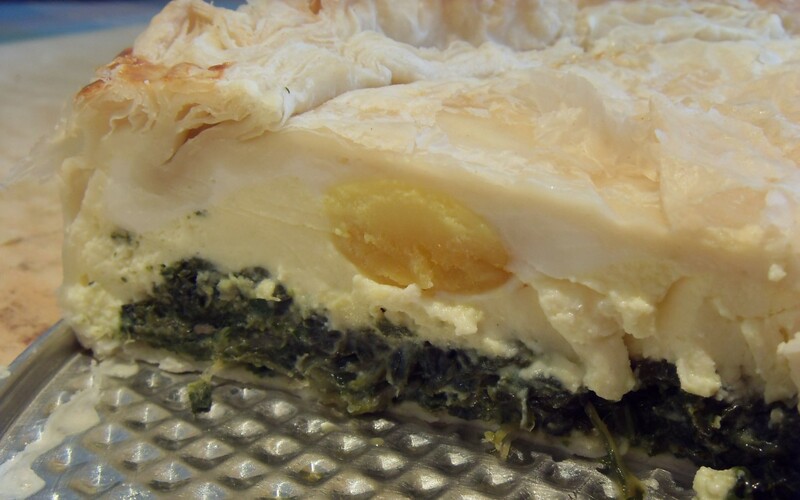 Torta Pasqualina or Easter Monday pie is a very popular dish to have today that has its origins in Liguria. Easter Monday is traditionally a day for picnics and this is often one of the things taken along. 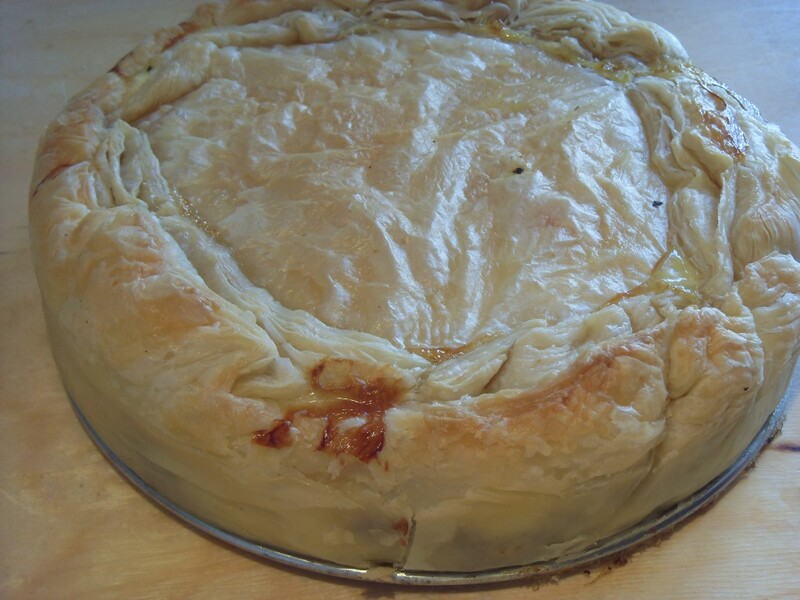 This is a slightly simplified version as it uses pre prepared puff pastry. It’s good to know that doctors no longer say eating cholesterol is bad for you as it includes at least 10 eggs. Serves at least 6. 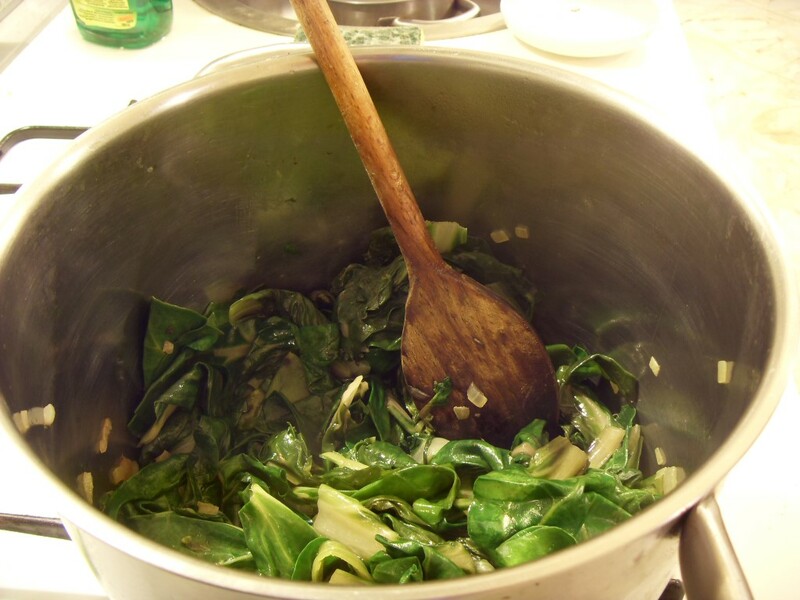 Put the swiss chard, the onion and 2 tbsp of oil into a saucepan. Season with salt and people and cook over a medium heat until the chard is completely wilted. Allow to cool and squeeze out as much liquid as possible. Chop finely and transfer to a bowl. 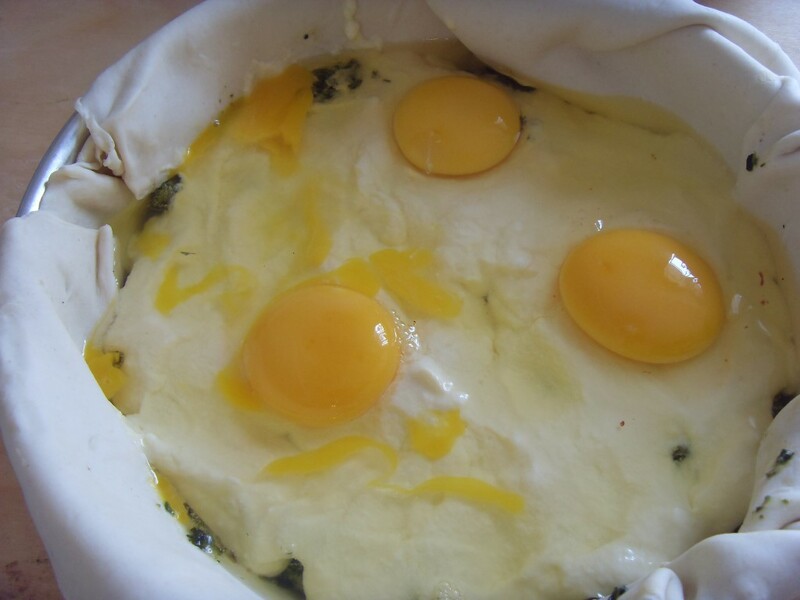 Add an egg, 50g of cheese and the marjoram or parsley and mix well. 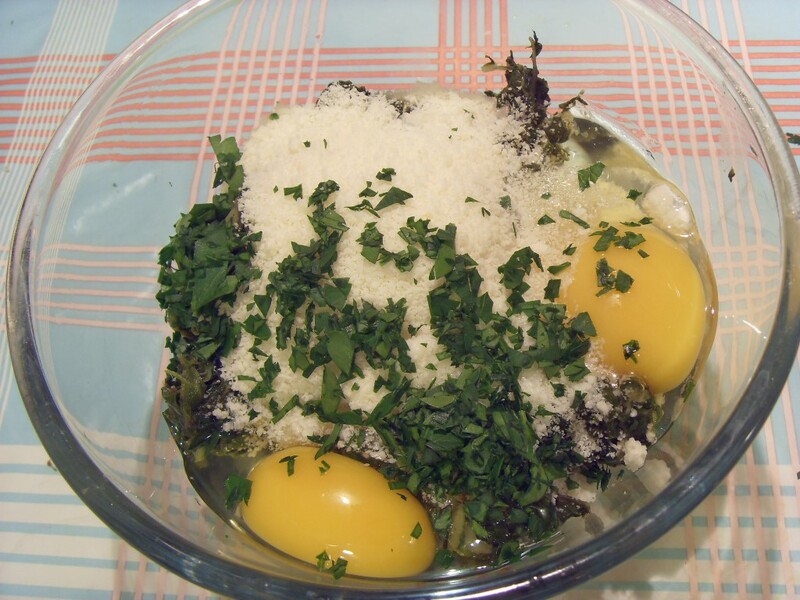 In another bowl mix together the ricotta, the cream, 2 eggs and 30g of cheese. 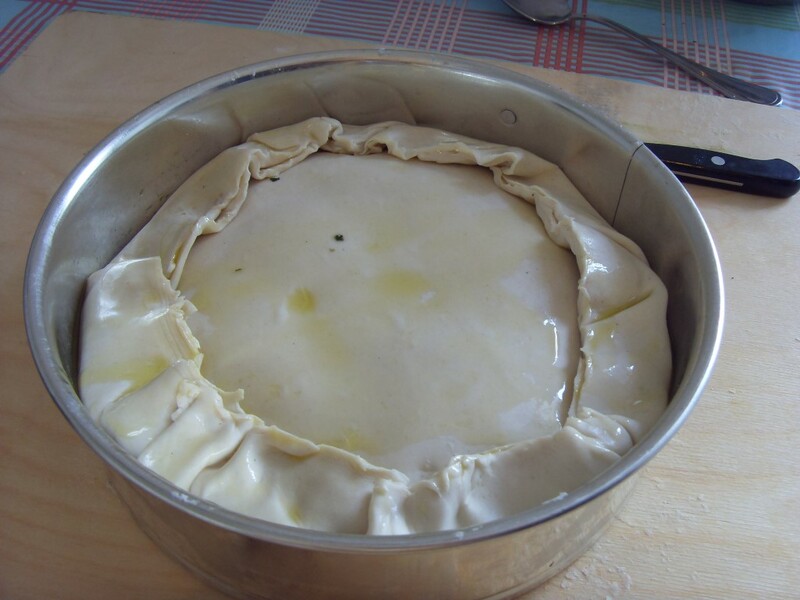 Roll out 2/3 of the pastry and use it to line an oiled cake tin. Make a layer with the chard. 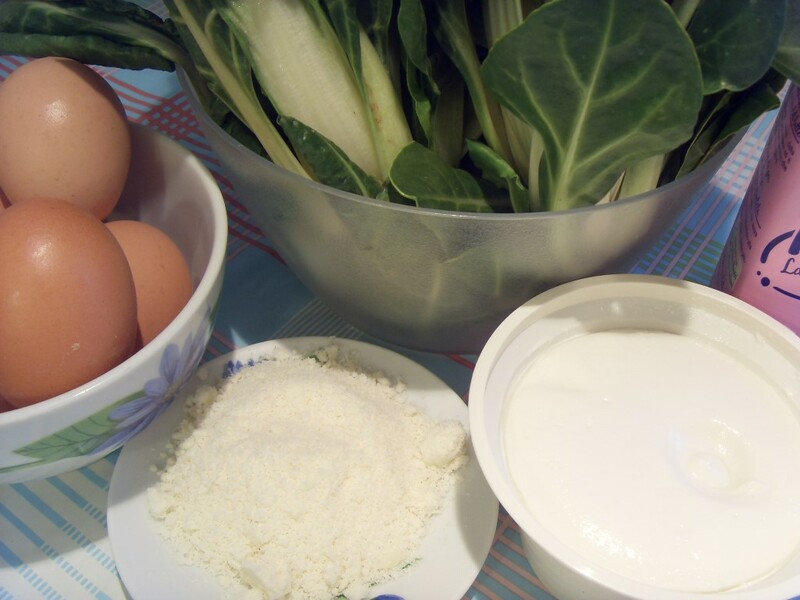 Cover with the ricotta. Crack 6 eggs, regularly spaced onto the surface. Roll out the remaining 1/3 of the pastry and use it to close the pie. Trim off the excess pastry and fold over and crimp the edges to seal. Brush with olive oil and bake at 180 °c for 45 minutes.